Brand: CK Products 77-326 Units: 3 lb. tub Use this shortening in homemade icing recipes to make the icing easier to work with. This shortening is sturdier than standard shortenings and helps to keep icing from breaking down as quickly. 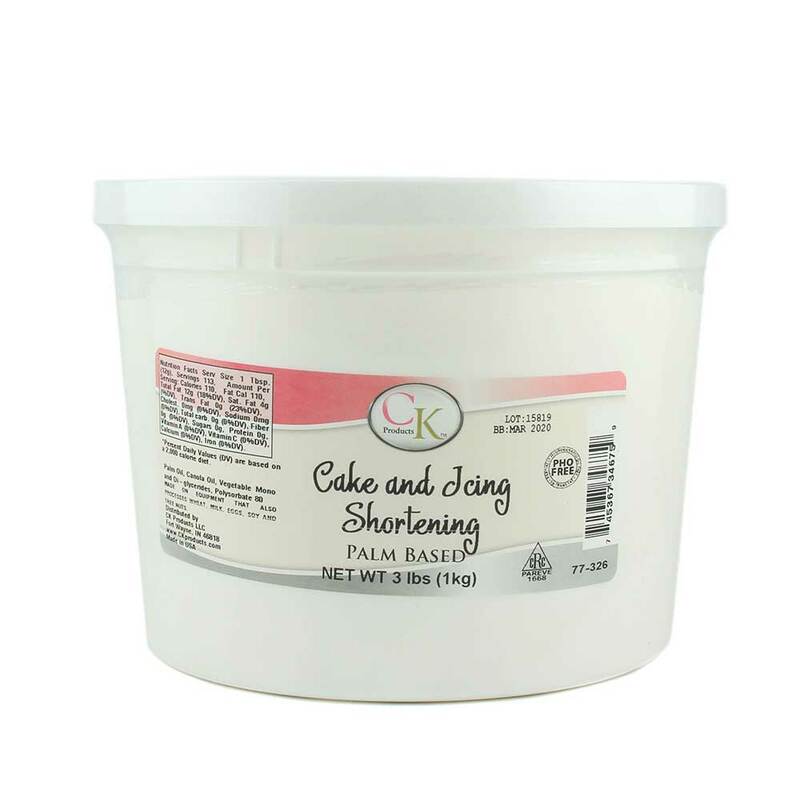 Use this shortening in homemade icing recipes to make the icing easier to work with. This shortening is sturdier than standard shortenings and helps to keep icing from breaking down as quickly. Please note that shortening is heat sensitive and may affect the product beyond use. Purchasing cold packs may reduce the chance of heat damage as well as expediting the order. We do recommend shipping orders that can be affected by heat on Mondays or towards the beginning of the week so the product is not sitting in a warehouse over the weekend. Please be advised: Ice packs only have a significant benefit in the first 24-36 hours and only when shipping in moderate temperatures. ALL FOOD PRODUCTS ARE NON-REFUNDABLE EVEN IF AFFECTED BY HEAT.